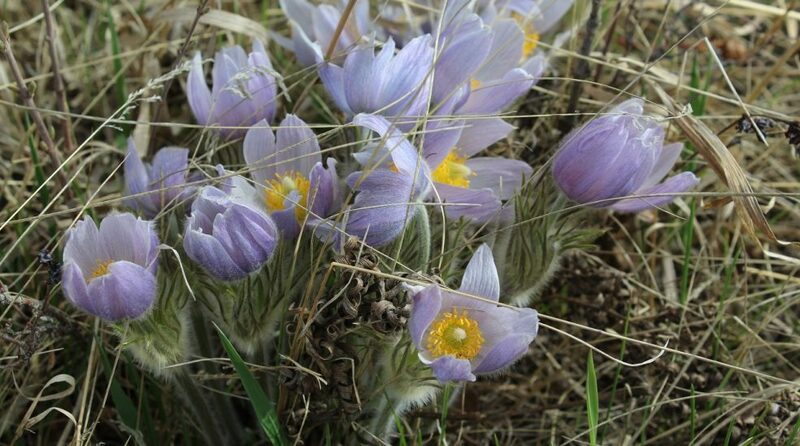 The City of Calgary horticulturalists sure know how to plant a lovely drift at the Senator Patrick Burns Memorial Rock Garden…. This entry was posted in Botany, Flower, Gardening, Horticulture, Nature, Outdoors, Photography, Plant and tagged Alberta, Calgary, drift planting, Fun, Senator Patrick Burns Memorial Rock Garden, Summer. Bookmark the permalink. ← Owl art: Silver Springs Botanical Garden. What are the name of those flowers? I have them. They aren’t black-eyed Susans cause they’re too small. Needless to say I love them. They are indeed Rudbeckia – one of the gentlemen who works with the City’s gardens has commented and said that this cultivar is ‘Tiger Eye Gold’. The plants are not very tall. I am definitely looking for this cultivar for at home…. Hi Sheryl. I am forwarding your comment on the Burns Rudbeckia bed to my managers, and to the young Gardener who thought of it. This bed semi-survived the hailstorm on Aug 4. As you likely know, the main Riley areas we severely torn up. Hi, Don – I am so sorry to hear that the beds at the Burns and Riley gardens were damaged – that storm was something else. My flower garden emerged mostly unscathed, except for the delphs, which were smashed. We only had pea sized hail this way and it didn’t last very long. Thanks so much for forwarding my post! This particular bed was so eye-catching – I was delighted to see it. Both the Riley and the Burns gardens were spectacular this year, hope they rebound quickly. 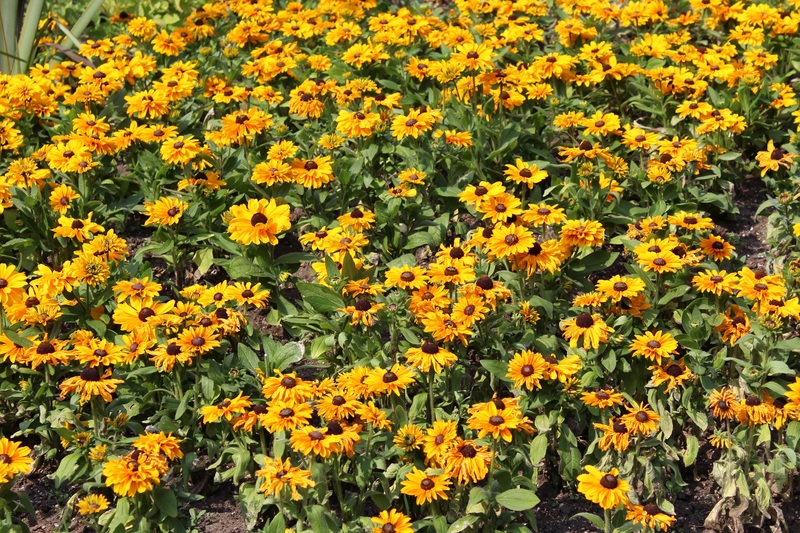 The Rudbeckia variety used in this bed was Tiger Eye Gold. It is short. Another name for a Rudbeckia is black eyed Susan. Thanks so much for letting us know the cultivar – I wasn’t sure which one it was. A beauty, that’s for sure! Absolutely true! I was a big gaga over the sight of all of these…. Definitely an amazing sight…sure hope it has recovered from all the hail we received. Such a shame that so many gardens in the city were destroyed. Your blog is a delight! Glad you enjoyed the photo…it was such a treat to come across this particular planting!